Purple and blue interlaced with yellows predominate this rich scene of a Moroccan Medina with carpets and trinkets on display outside the various small shops. A generic view which typifies hundreds of narrow streets inside any market town in Morocco. Trevor has used broken colours in tile like formations and rendering to create this sunlit scene. 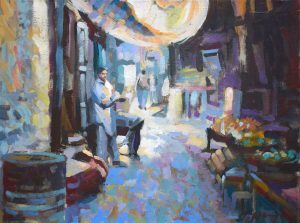 The feeling of light filtering through the awnings that cover market areas in Morocco is the real subject material in this work of art by Trevor. 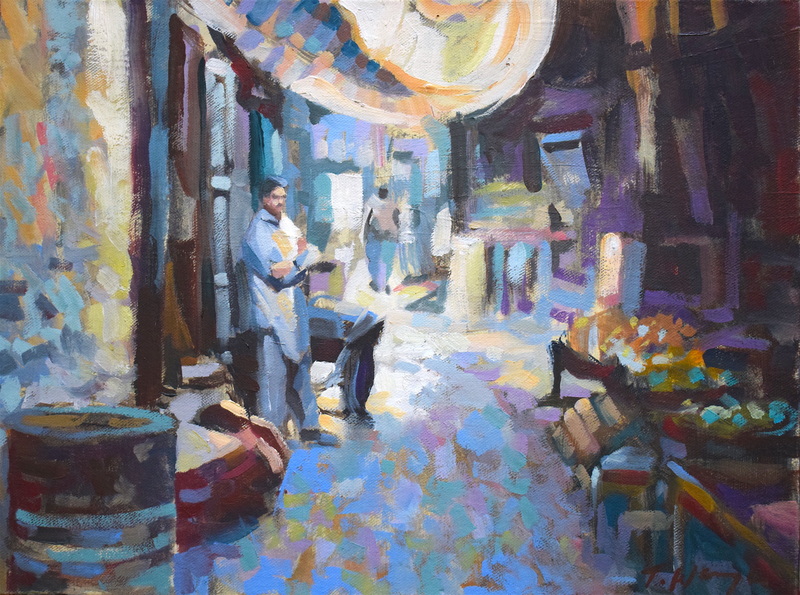 The mosaic-like effect leads the viewers eye into the narrow market street with some shop owners waiting outside in readiness of custom.